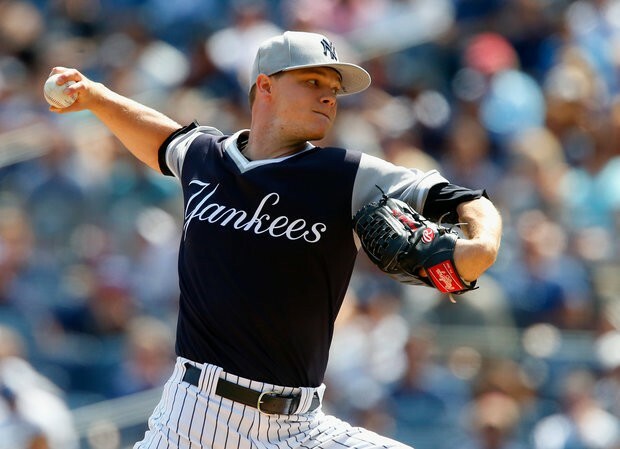 On Saturday, the cost was WORTH IT as Sonny Gray turned in his best Yankees performance thus far. His seven innings of three-hit ball helped the Yankees defeat the Seattle Mariners on a beautiful day in the Bronx. Even though his victories in Pinstripes have been rare, he brings a confidence (for the fans) to the mound that is probably only matched by Luis Severino. Gray hasn’t pitched badly in his other starts, he just doesn’t seem to get the necessary run support. That wasn’t the case yesterday. The game started like Friday’s defeat…the inability to score with a runner in scoring position. Brett Gardner led off the bottom of the 1st inning with a single to center. A wild pitch by Mariners starter Yovani Gallardo moved Gardy to second. 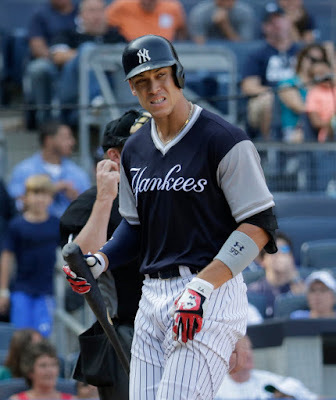 But there he would stay as the heart of the batting order (Aaron Judge, Gary Sanchez, and Didi Gregorius) couldn’t bring him home. Fortunately, the Yankees took advantage of an opportunity in the 2nd. Gallardo walked the first two batters (Starlin Castro and Greg Bird). A sacrifice bunt by Chase Headley (laid it down perfectly toward third to ensure the only play was at first) moved the runners to second and third. Jacoby Ellsbury, making a rare start, singled to left. Castro scored, but Bird was thrown out at the plate. I was surprised that third base coach Joe Espada gave Bird the green light but Bird would have been safe if he had kept his foot down sliding into home plate. The Yankees led, 1-0. The Mariners got the run back in the top of the 3rd inning. Backup catcher Carlos Ruiz, starting for regular catcher Mike Zunino the day after a night game, homered to left to tie the game. The Yankees finally got something going in the bottom of the 4th with two outs. Greg Bird singled to right and Chase Headley walked. Jacoby Ellsbury, in a campaign for more playing time, drilled a fly ball to the right field porch to give the Yankees a 4-1 lead. Meanwhile, Sonny Gray was on cruise-control. 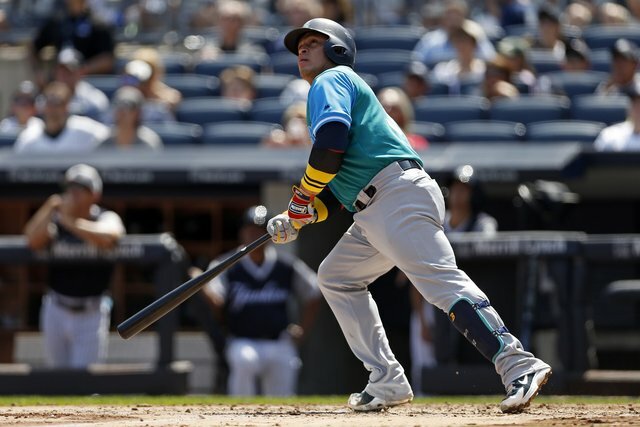 With a back-up catcher, who entered the game with a .202 batting average, seemingly having the only success against him, Gray kept the M’s at bay. The Mariners had an opportunity in the top of the 6th when Gray hit two successive batters with pitches but Sonny worked his way out of the jam. When Ben Gamel look-alike Taylor Motter singled on a hard hit ball to third in the top of the 7th (great stop by Chase Headley to prevent a double), it was the first hit by a Mariner other than Carlos Ruiz. Ruiz had a single in the 5th in addition to his home run for two of the three hits that Sonny Gray would allow. Ruiz followed Motter but this time Gray struck him out swinging. Motter stole second on the strikeout but he was left stranded when Jean Segura flied out to end the inning. That would be it for Gray. 106 pitches, the three hits, one run, two walks, and nine strikeouts. It was a tremendous performance for Gray and showed that he will be a key factor down the stretch. The Yankees would add much-needed insurance runs in the bottom of the 7th. Facing Mariners reliever Casey Lawrence, Austin Romine reached first base on a popup that dropped when Jean Segura gave up on it due to the sun and left fielder Ben Gamel couldn’t get there to make the catch. Brett Gardner followed with a single to center. After outs by Aaron Judge and Gary Sanchez, Didi Gregorius drew a walk on four pitches to load the bases. Starlin Castro lined a single to left to score Romine and Gardy. There was no play at the plate this time as Gamel bobbled the ball after the stop. Greg Bird subsequently walked to reload the bases, but Chase Headley flied out to end the inning. Chasen Shreve was brought in to start the 8th inning in place of Sonny Gray, and the Mariner bats seemed to come alive. Danny Valencia opened with a double to the left field wall. Nelson Cruz followed with a grounder to third which should have been a routine play but Chase Headley’s throw sailed over Greg Bird’s head for an error. The M’s had runners at the corners. A single to right off the glove of Starlin Castro by Kyle Seager scored Valencia and ended Shreve’s latest outing. Tommy Kahnle came in and struck out the first batter he faced (Mitch Haniger). Ben Gamel grounded into a fielder’s choice that erased Seager at second, but the Mariners had runners at the corners again with two outs. Guillermo Heredia lined a single to right to score Cruz. The Mariners had reduced the Yankees’ lead to 6-3. The next batter came to the plate in the form of Robinson Cano, who was pinch-hitting for Taylor Motter. Fortunately, instead of a game-tying home run, Robby grounded out to second to end the threat. Too close for comfort. The Yanks had a chance to add a run in the bottom of the 8th when Brett Gardner singled and stole second with two outs. But the same story that keeps repeating itself…an Aaron Judge strikeout…left Gardy stranded. Fortunately, the Yankees had Dellin Betances for the 9th inning. He set the M’s down in order, two by strikeout, for his 10th save. The Yankees win! 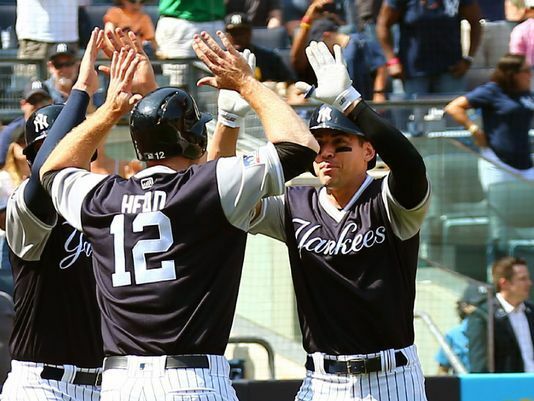 The Yankees (69-59) finally picked up a game on the Boston Red Sox. The Sox, having all they can handle with Buck Showalter’s Orioles, fell to Baltimore, 7-0. The Yanks now trail the Sox by 3 1/2 games. The O’s are 5 1/2 games behind the Yankees. The Tampa Bay Rays lost, 6-4 to the St Louis Cardinals, so they slipped back into fourth place in the AL East, 6 1/2 games behind the Pinstripers. The Yankees picked up a game in the Wild Card Standings and lead the second place Minnesota Twins by 3 1/2 games. The Twins dropped a 10-9 slugfest to Josh Donaldson and the Toronto Blue Jays. Clearly, the stars of this game were Sonny Gray (8-8, 3.26 ERA) and Jacoby Ellsbury. Ellsbury, batting eighth in the lineup, was 2-for-4 with the home run and 4 RBI’s. 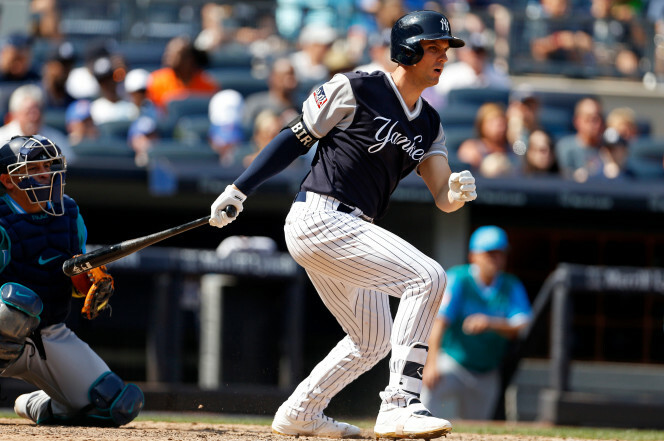 It was good to see Greg Bird in the mix (he was 1-for-2 with two walks and a run scored). 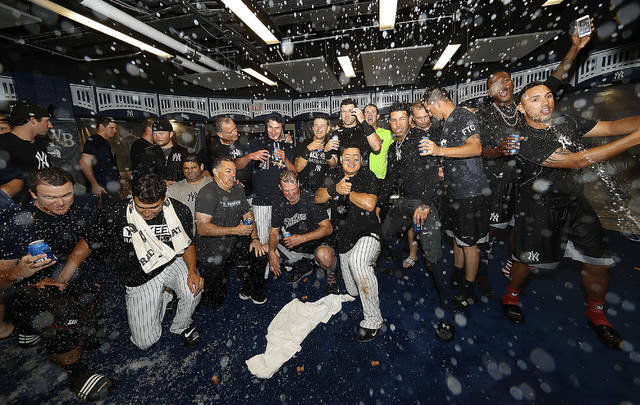 Congratulations to the Triple A Scranton/Wilkes-Barre RailRiders! They clinched their third straight post-season appearance with a 7-1 win over the Syracuse Chiefs behind the arm of Chance Adams (11-4, 2.63 ERA). The RailRiders’ magic number for winning the International League North Division is two. Have a great Sunday! The Yankees need a win today with the Cleveland Indians and Boston Red Sox looming on the immediate horizon. Go Yankees!